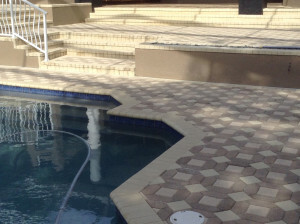 Our brick paver installation and design service includes, but is not limited to rebuilding or new construction of brick paver driveways, brick paver pool decks, brick paver sidewalks, brick paver patios, brick paver walkways, and other custom designs. 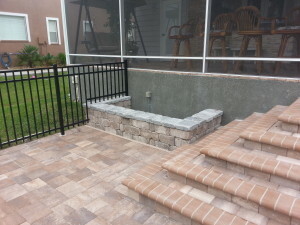 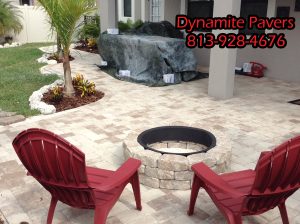 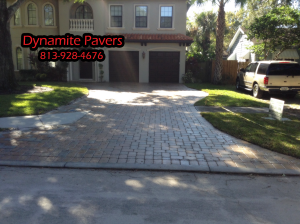 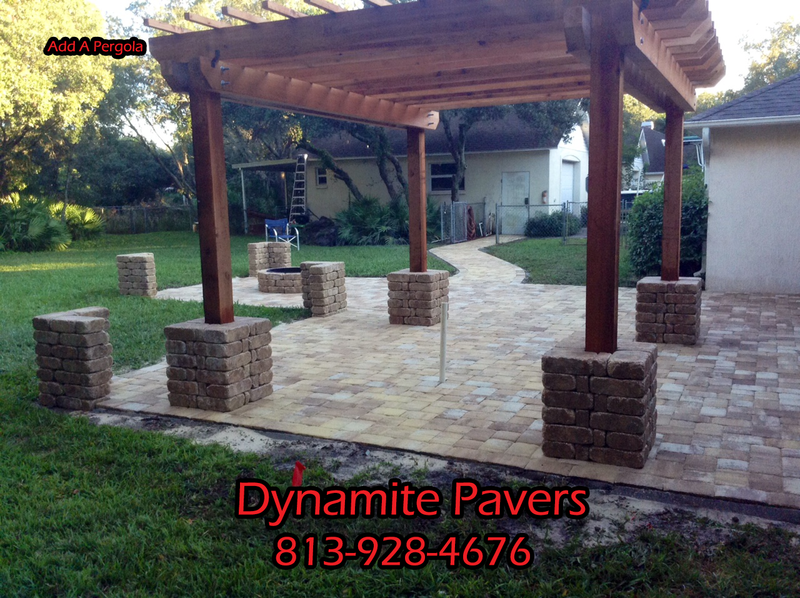 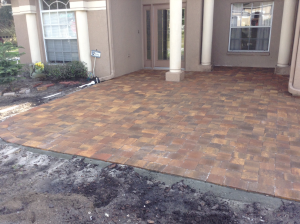 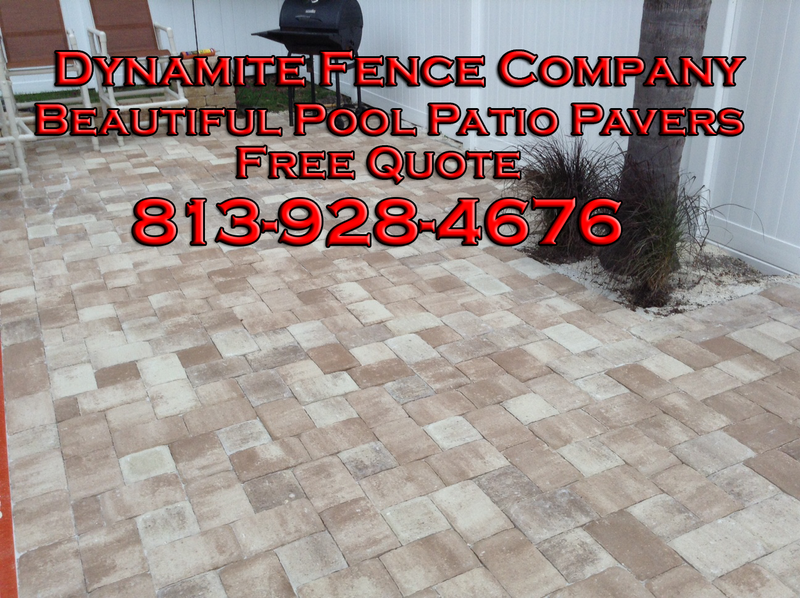 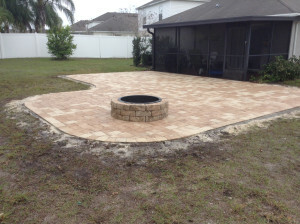 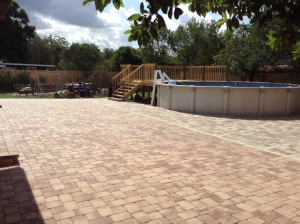 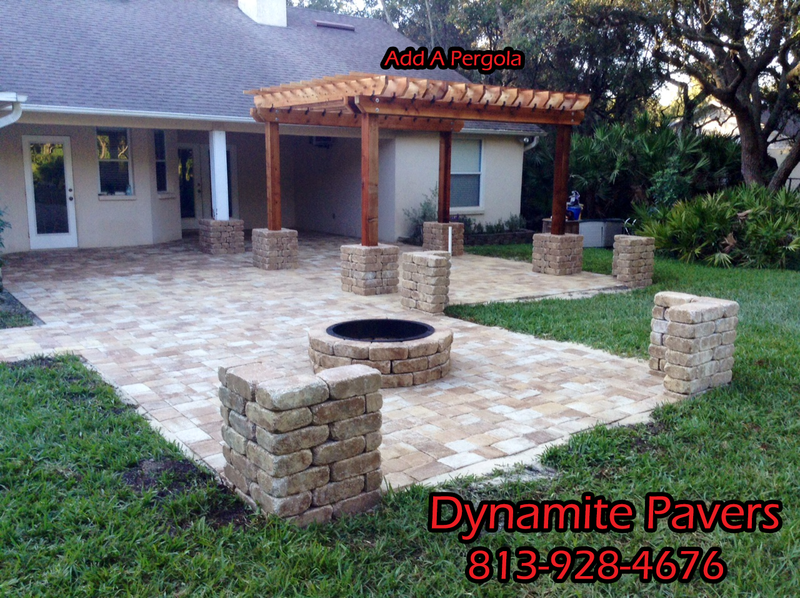 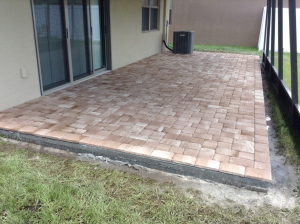 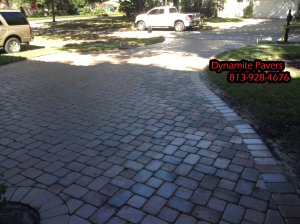 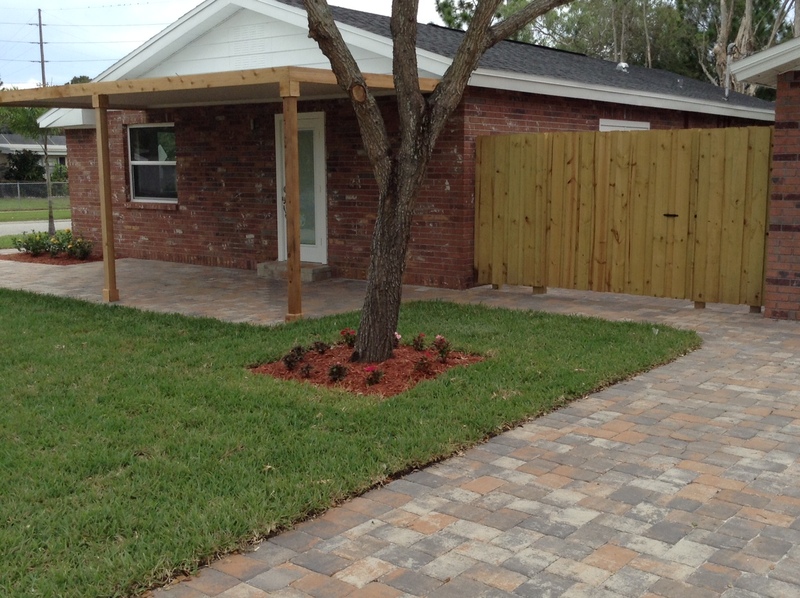 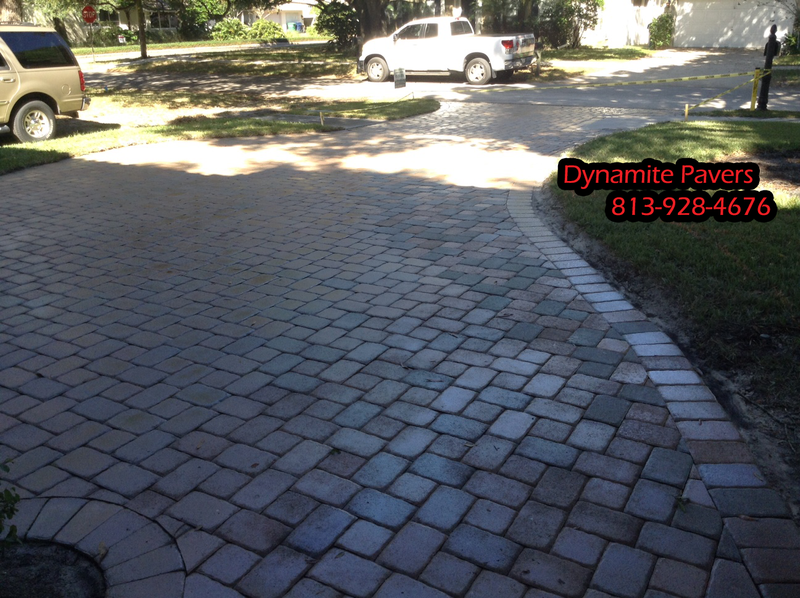 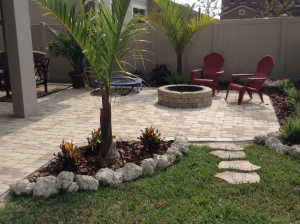 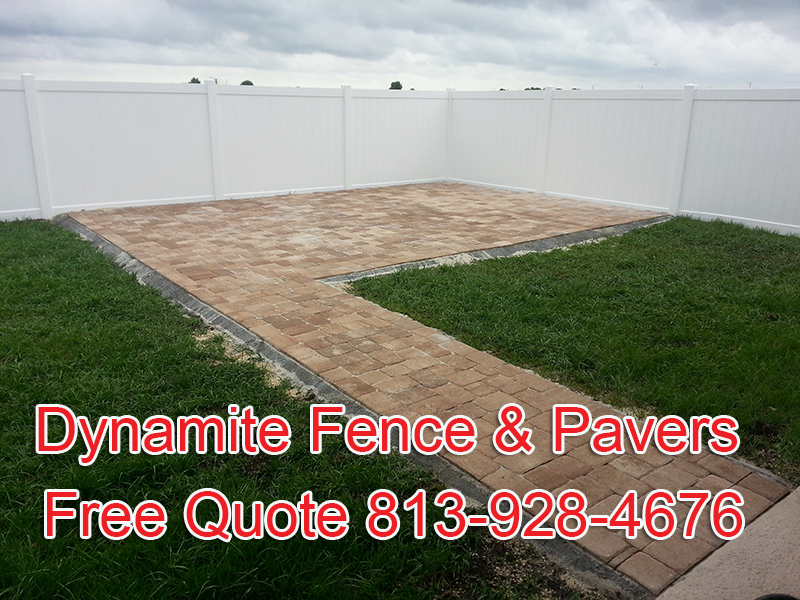 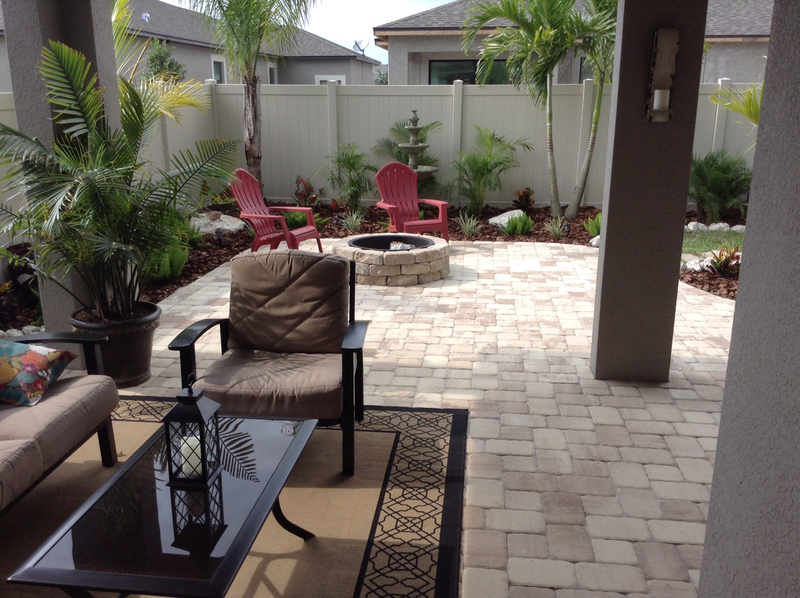 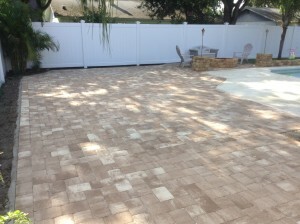 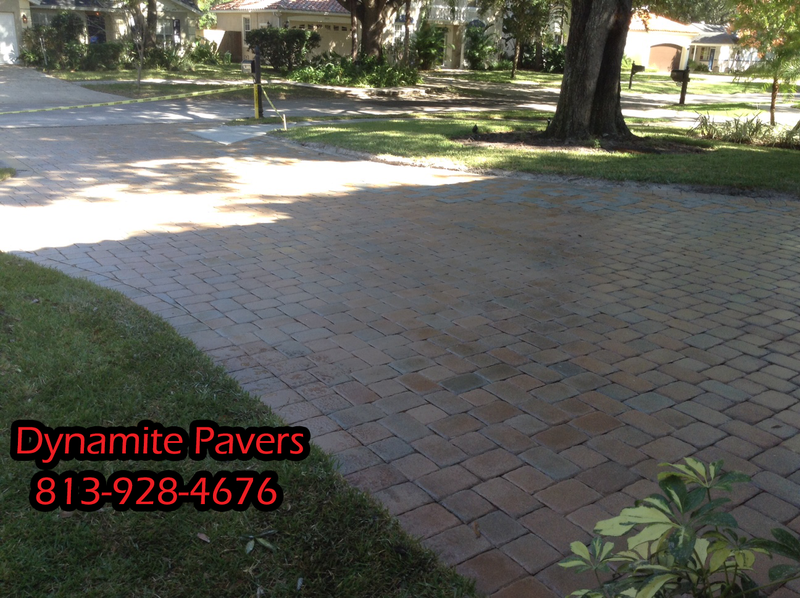 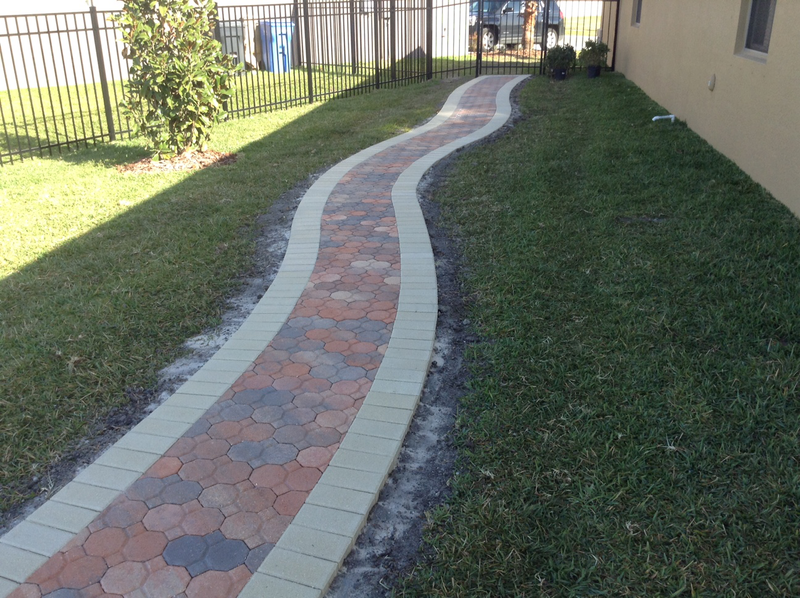 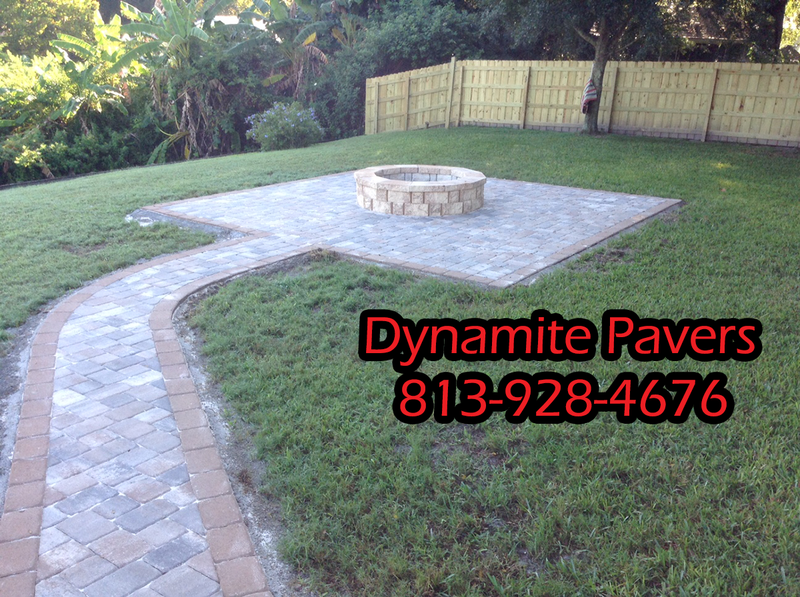 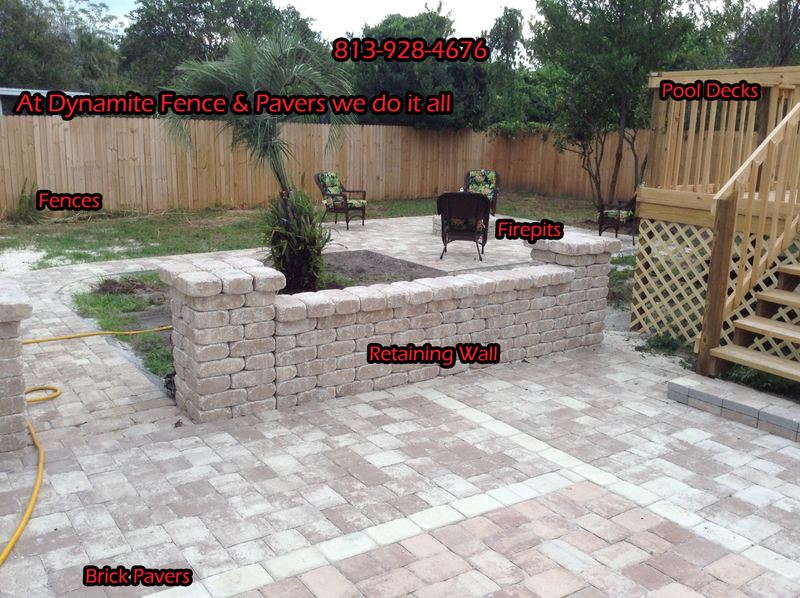 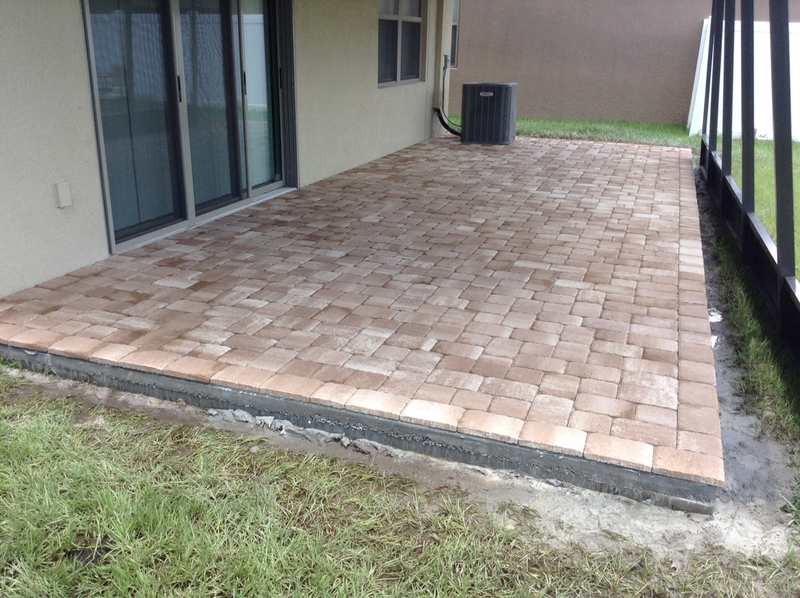 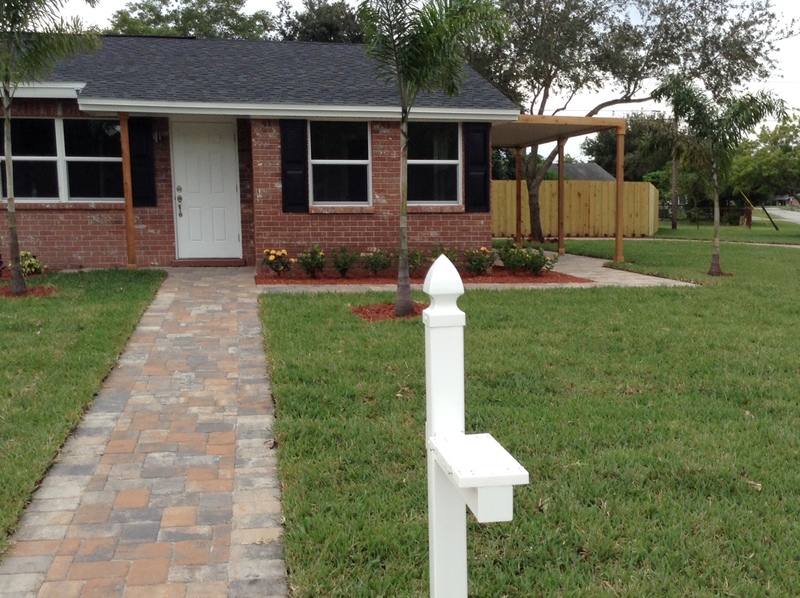 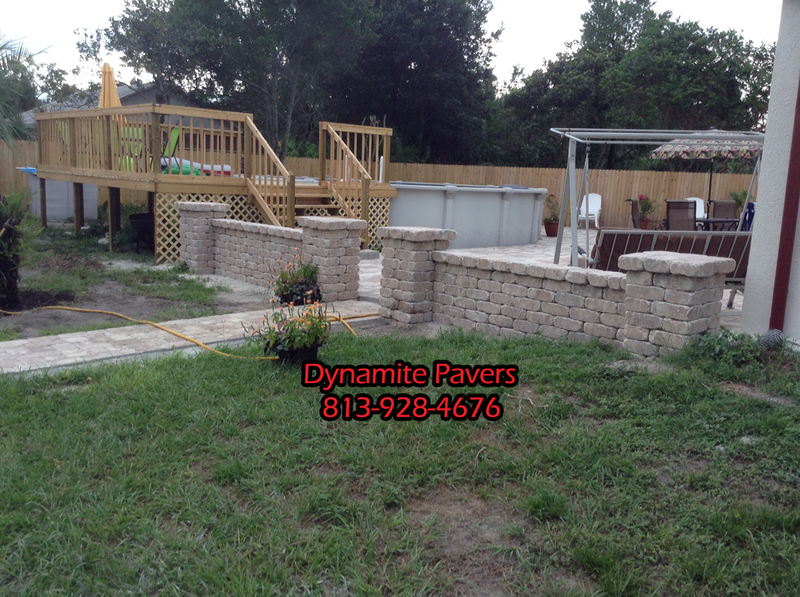 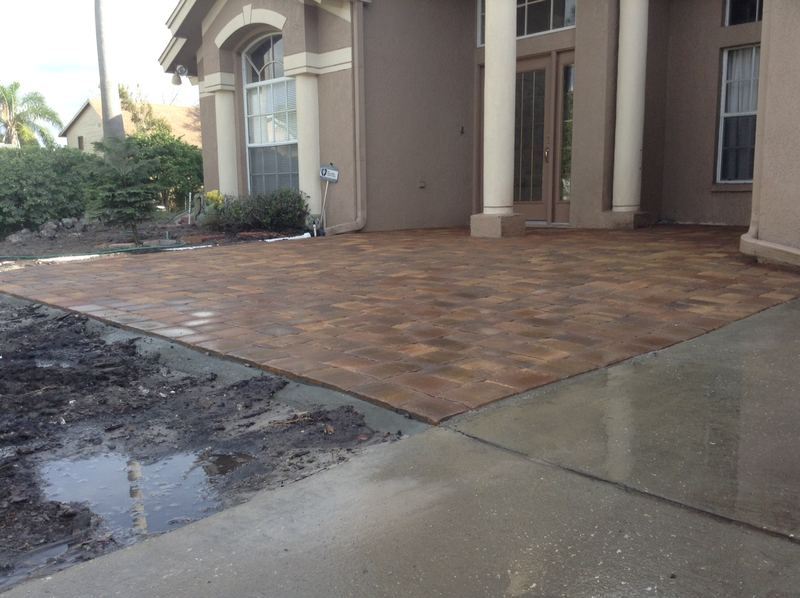 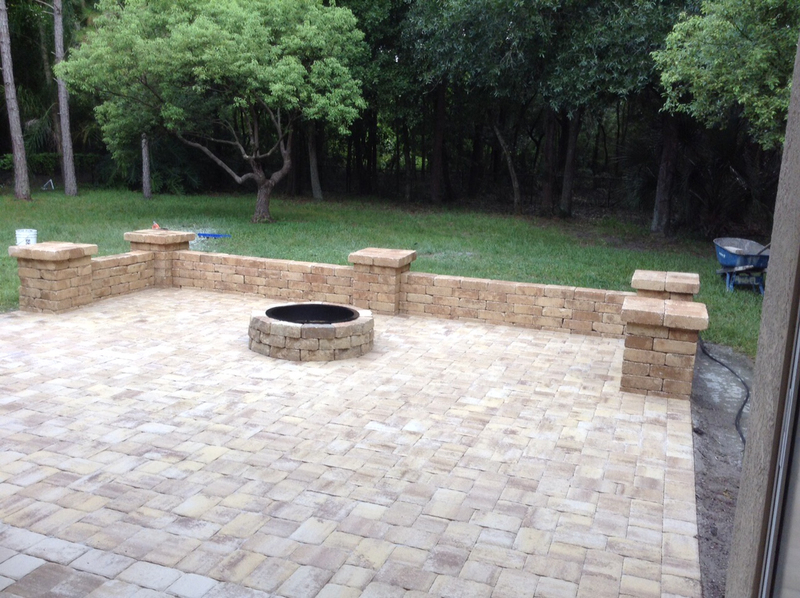 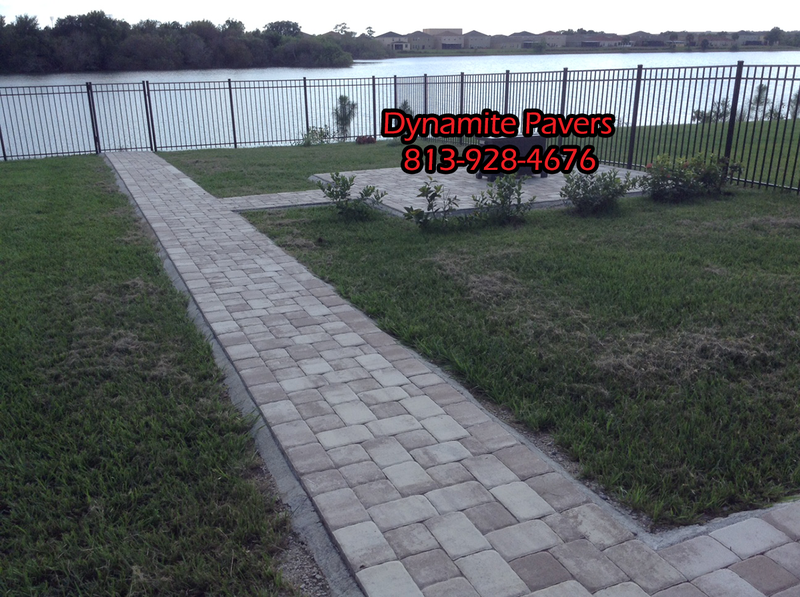 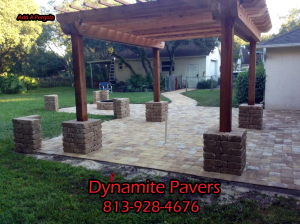 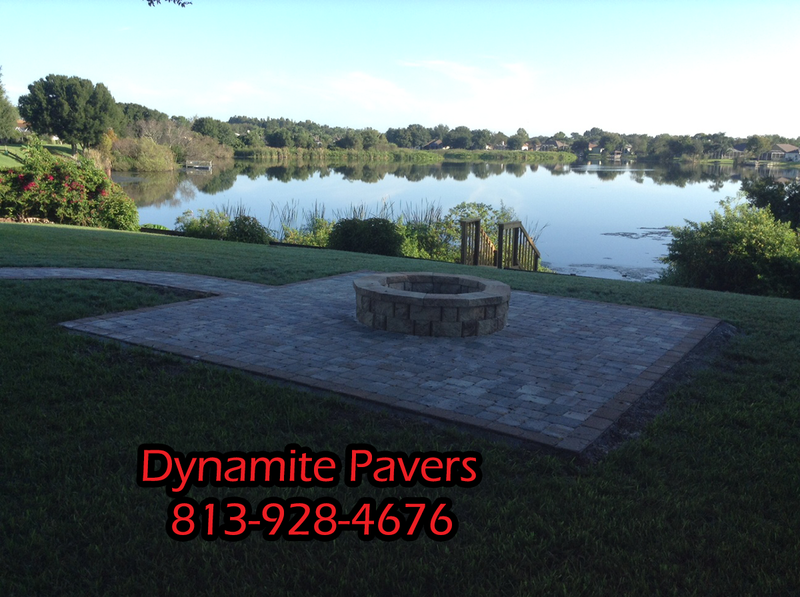 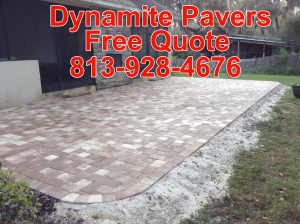 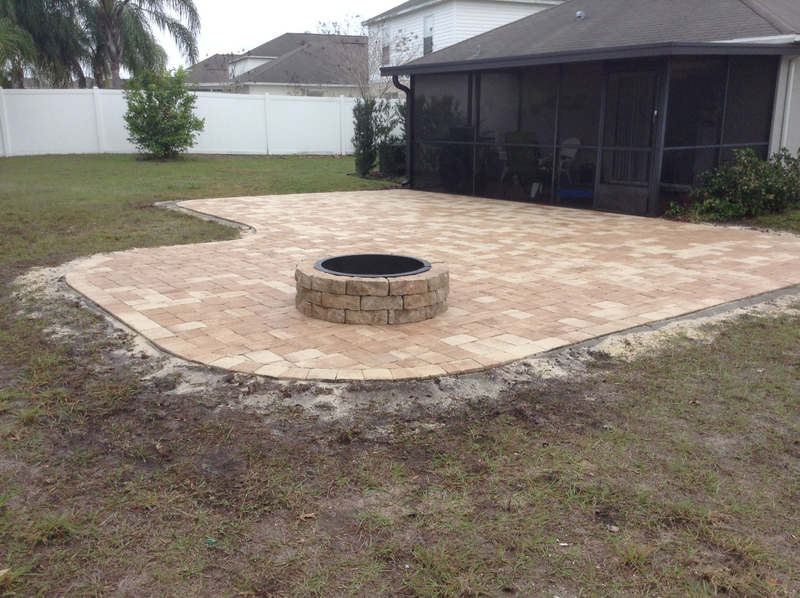 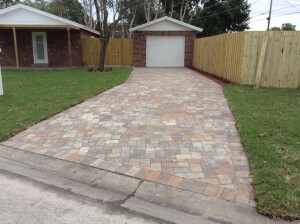 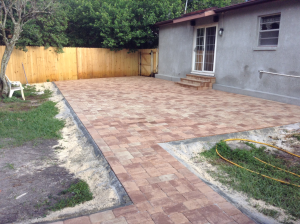 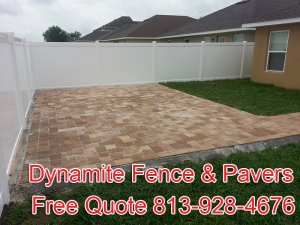 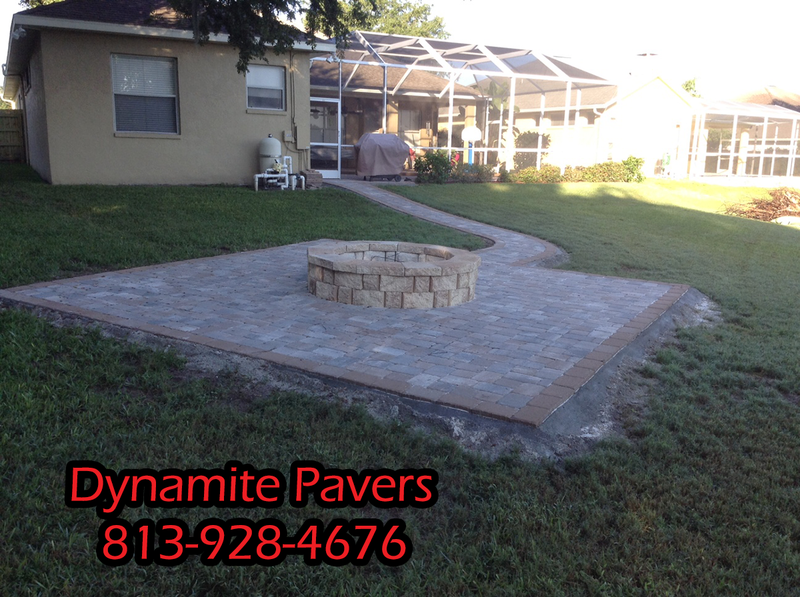 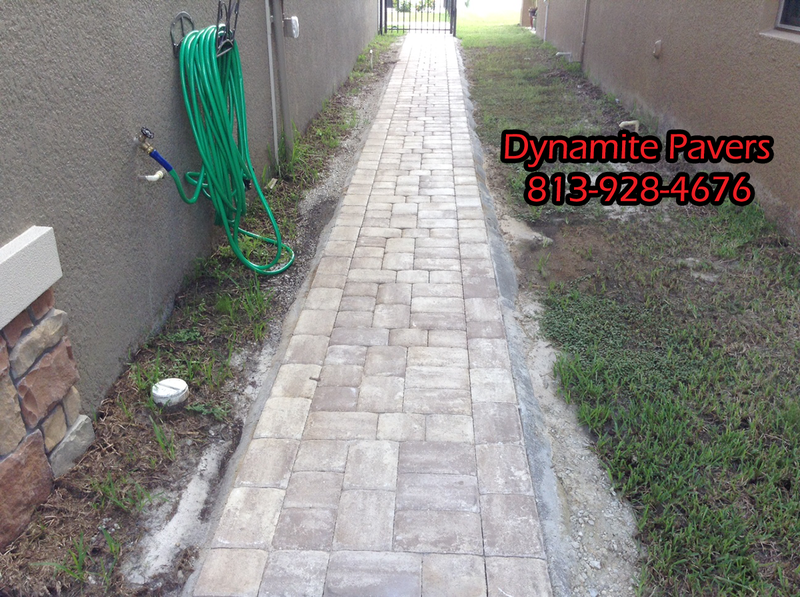 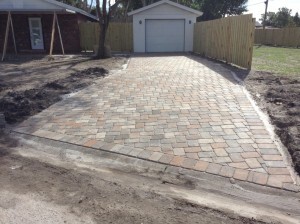 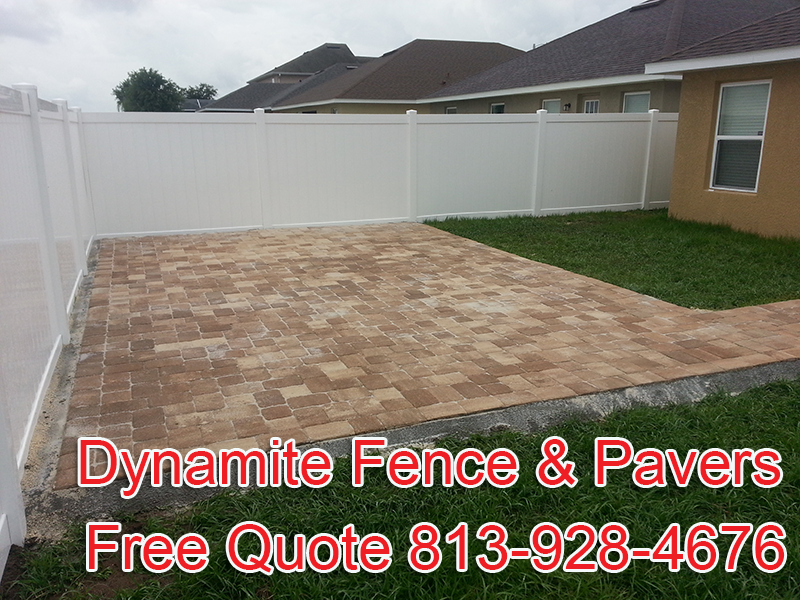 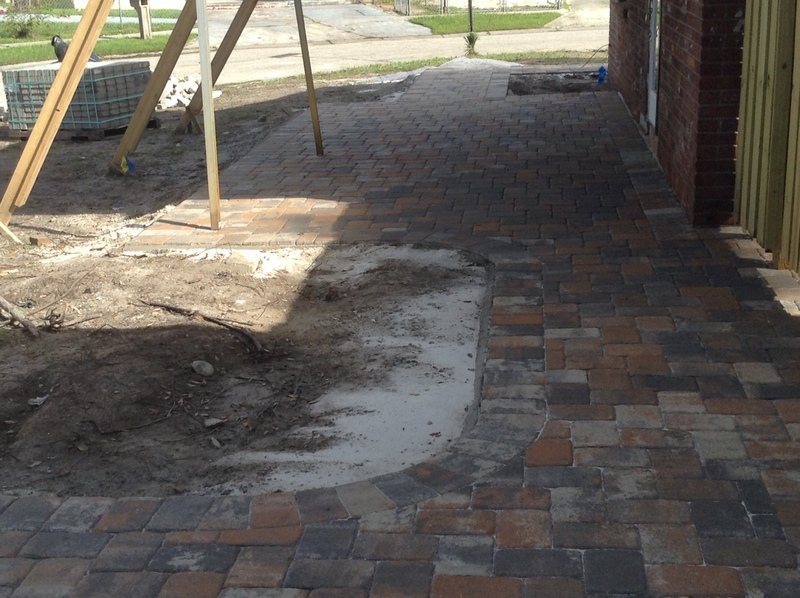 Call Dynamite Pavers for a free brick paver quote today at 813-928-4676. 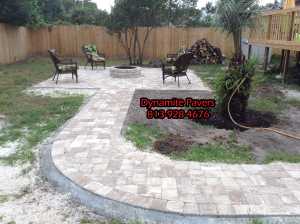 We will help you design a brick paver hardscape that best suits your landscape and family needs. 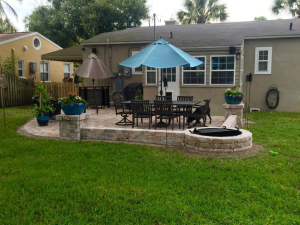 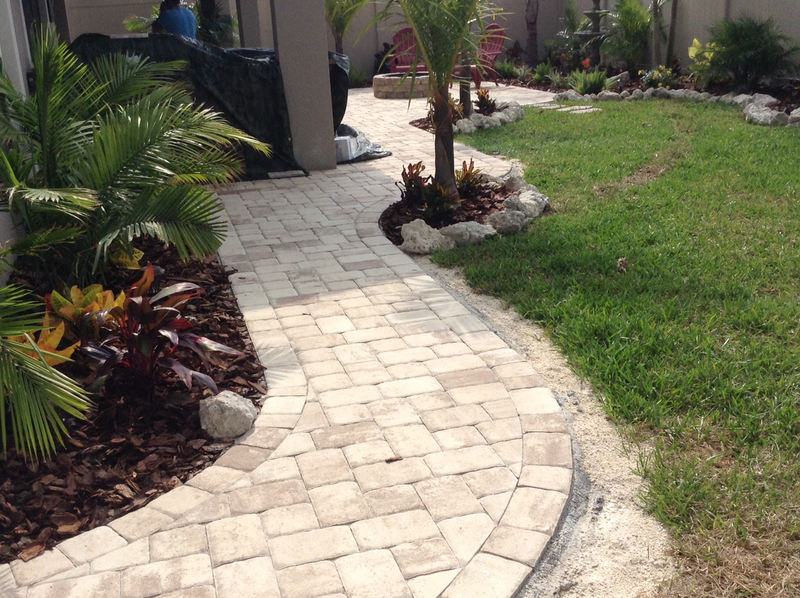 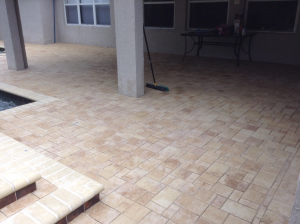 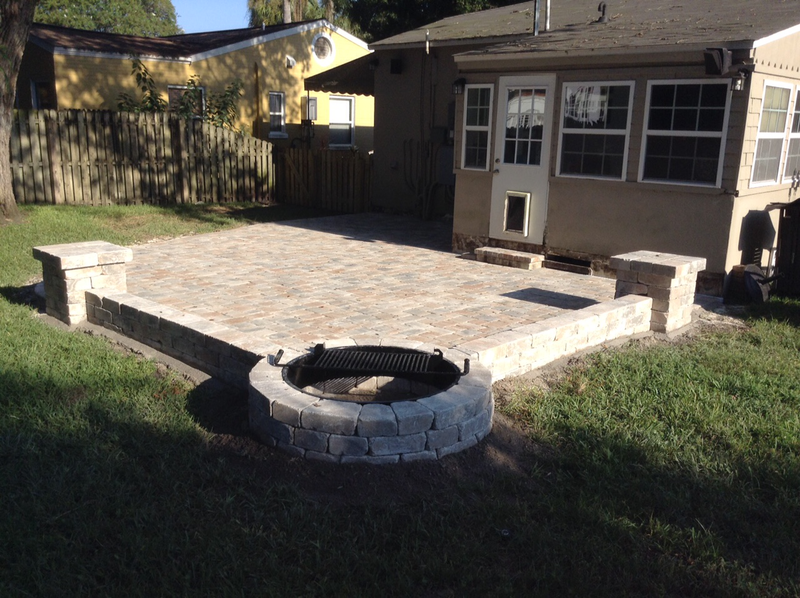 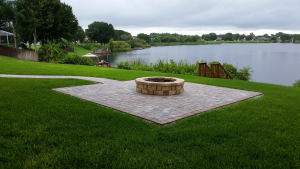 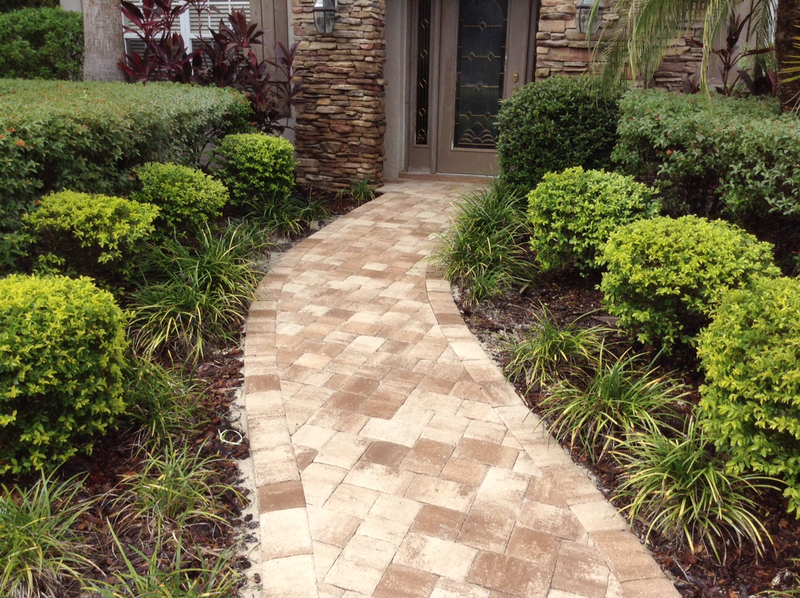 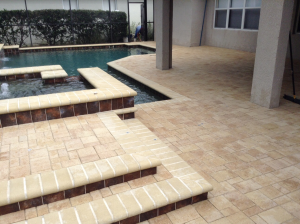 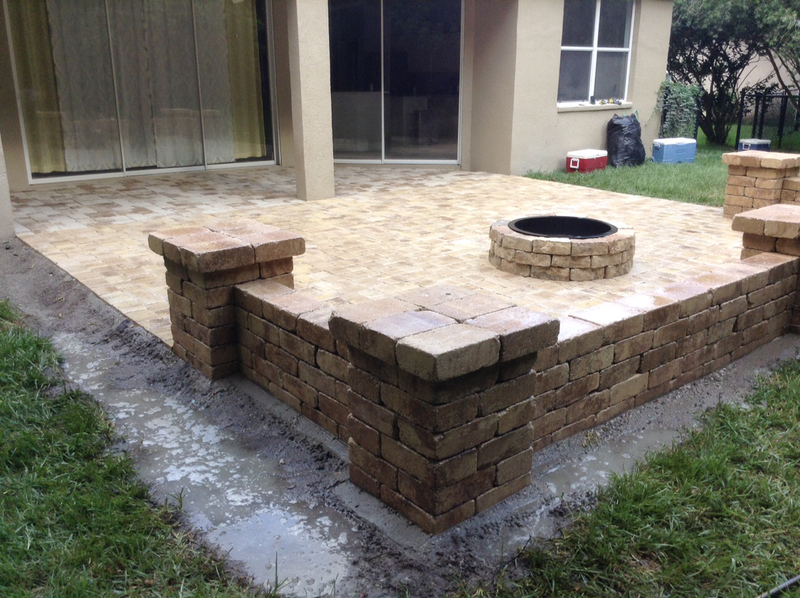 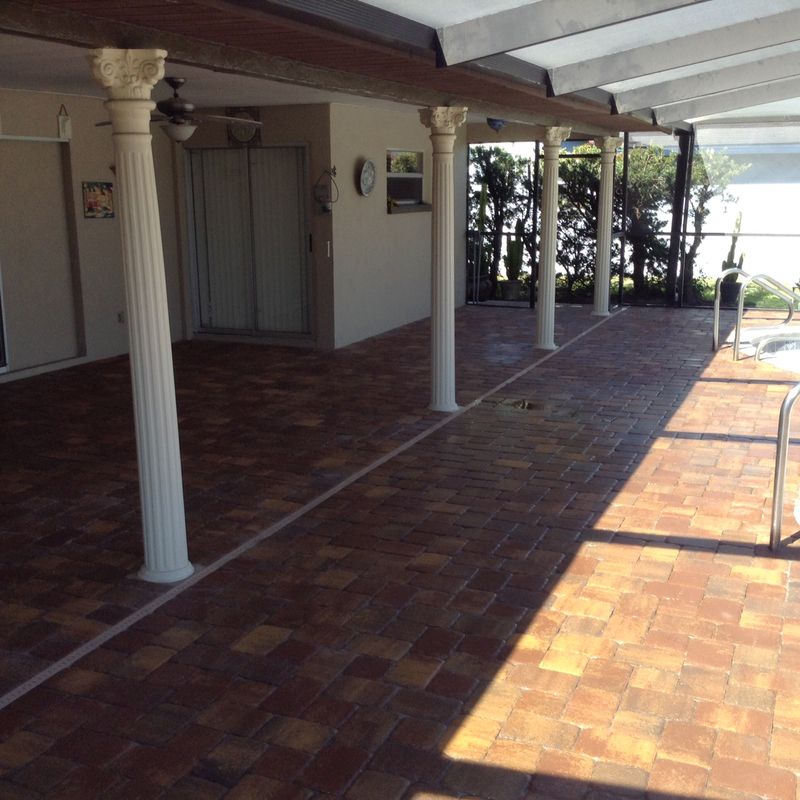 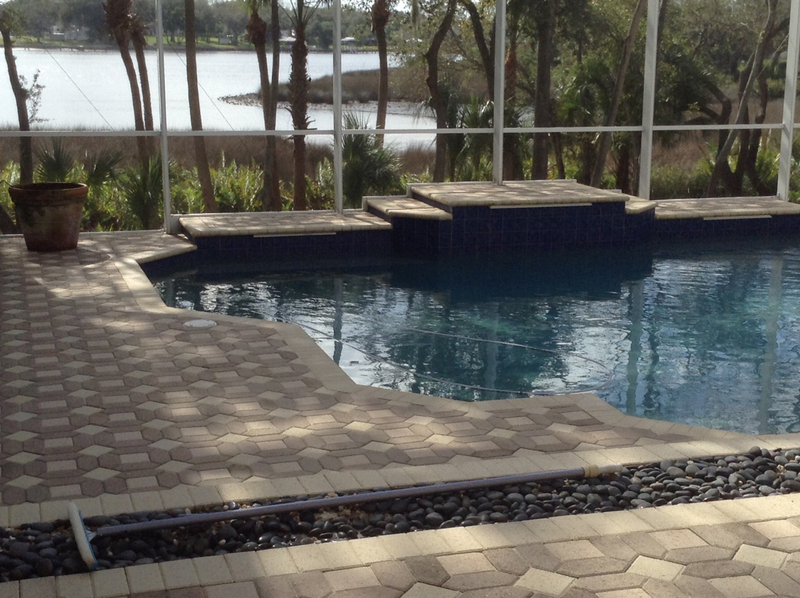 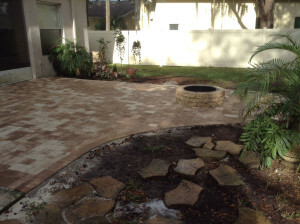 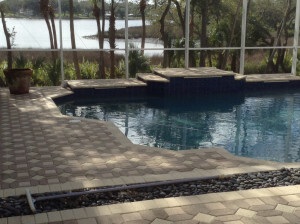 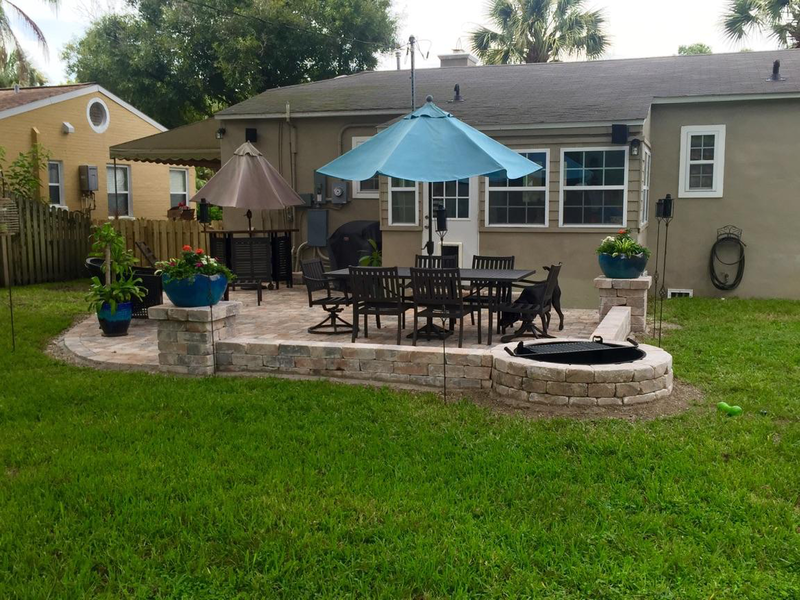 We use the highest quality pavers, Belgard Pavers, Flagstone Pavers and others to choose from that are manufactured locally in Tampa, Florida from Coastal Castle. Our installers have over 25+ years of workmanship who know their stuff. 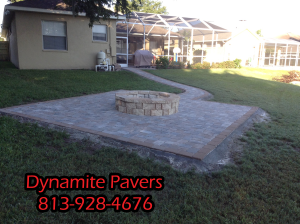 Our guys won’t hesitate to stop, show you and explain why adding something hear or taking something away there will make it paver area function better. 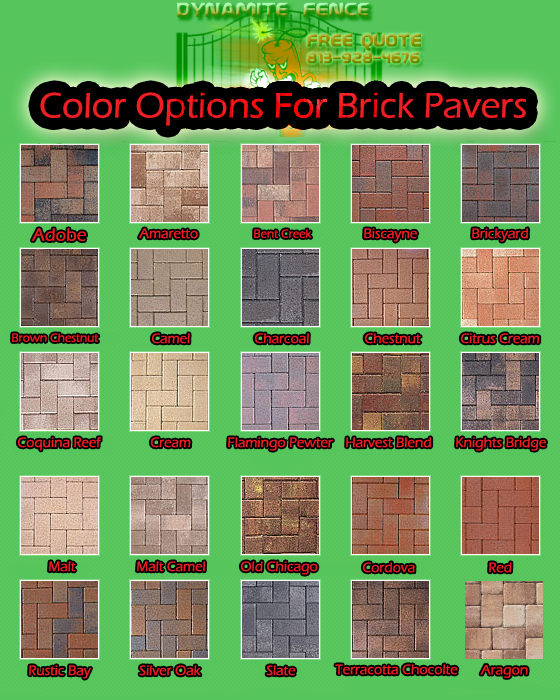 Below is an assortment of the color of brick pavers we offer. 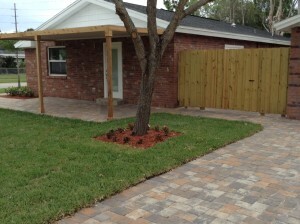 Brick pavers make for a more elegant material to use for making plant beds. 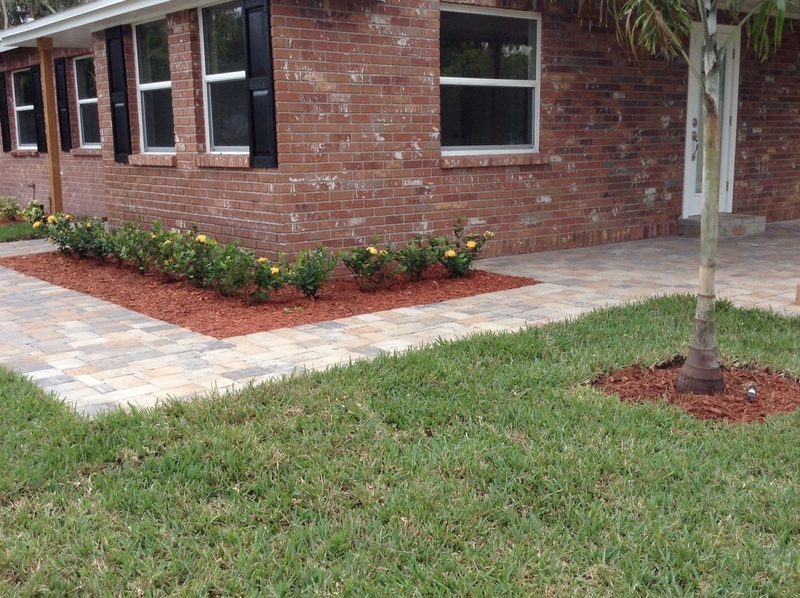 Brick pavers will naturally blend with flowers, shrubs or trees as well as give your home a classic touch. 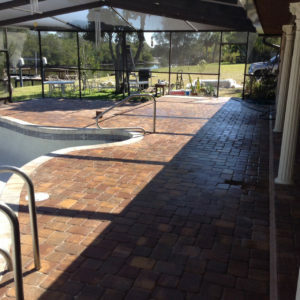 When considering the type of patio pavers the choice is more often than not brick pavers. 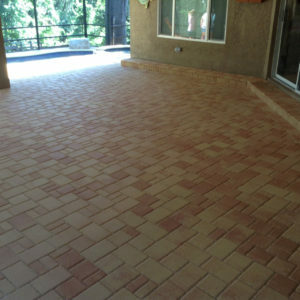 They are chosen because of their durability, low maintenance, and are available in an endless array of colors and styles. 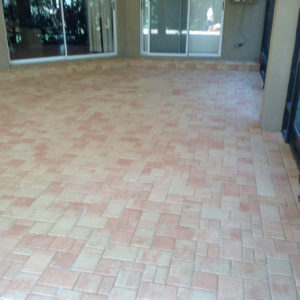 They also naturally blend to any furniture or design elements that will be added in the area. 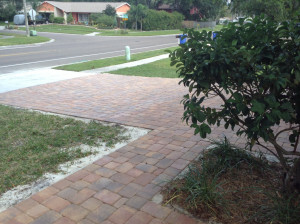 Countries in Europe have replaced their concrete slab sidewalks with brick paver sidewalks, which have given those countries a unique feel to them. There are a wide range of surface finishes available, from smooth to heavily textured. 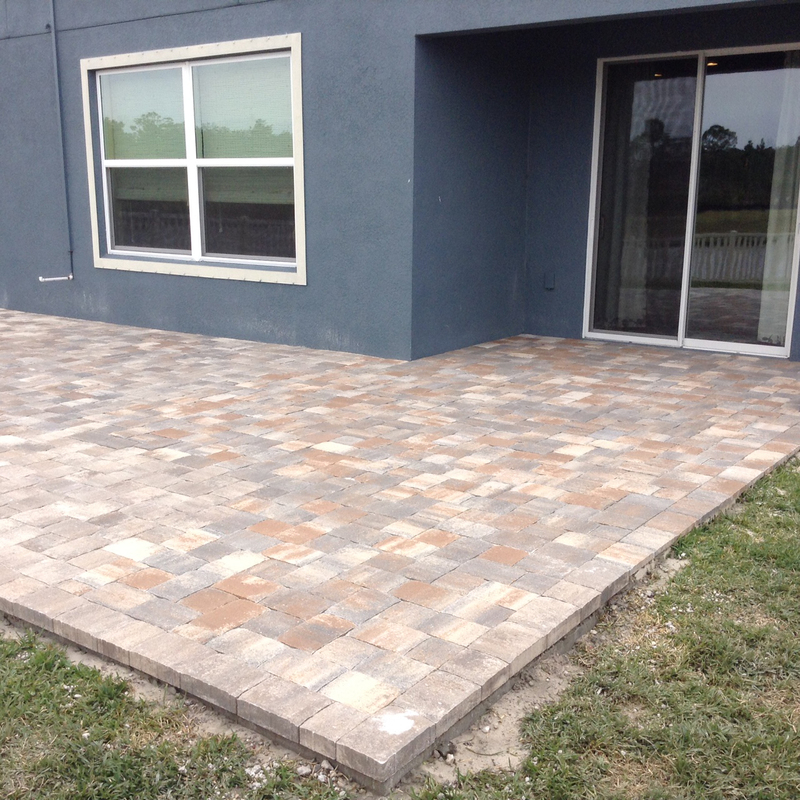 There are also many colors, shapes, and laying patterns available that can compliment the specific architectural style of you home. 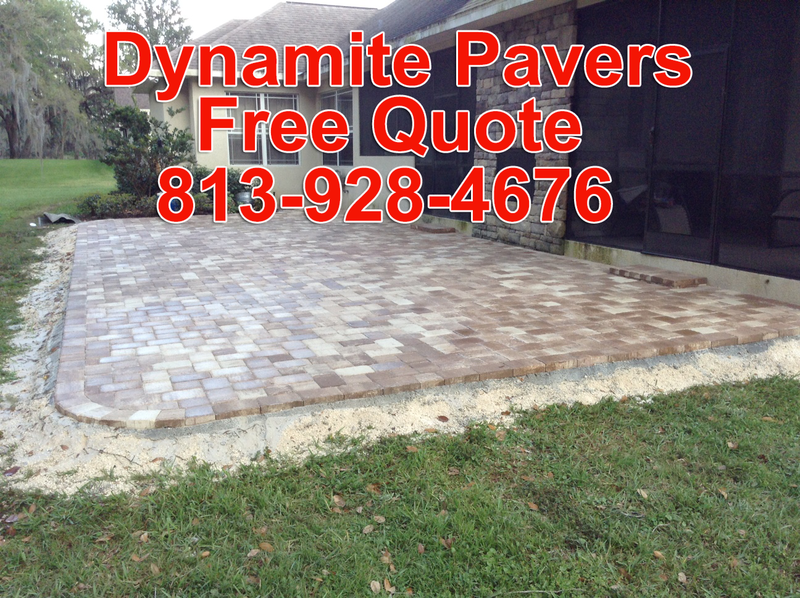 The price of having brick pavers installed is almost the same as having a concrete driveway or patio poured. 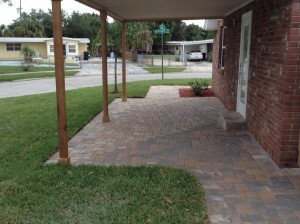 Brick pavers are tightly fitted, uniform units that are placed over a sand bed and compacted to form a base. 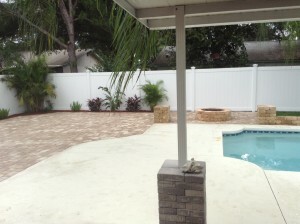 The final product is a beautiful new area that is immediately ready for use. 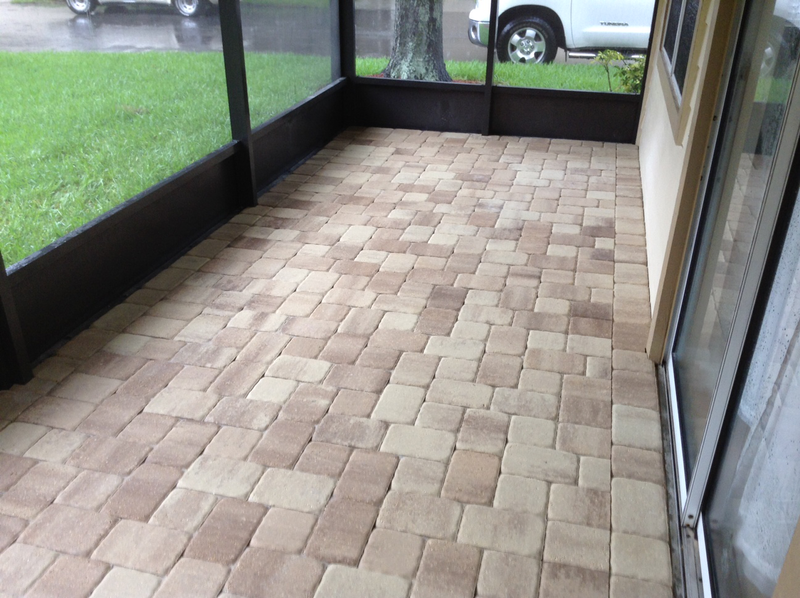 Stained or broken brick pavers can be easily replaced without patches. 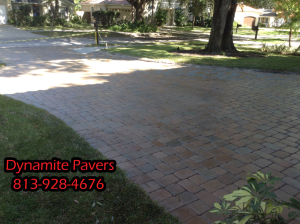 Dark colored pavers can even help hide stains. Ants and weeds in joints can be prevented with a sealer or herbicides. 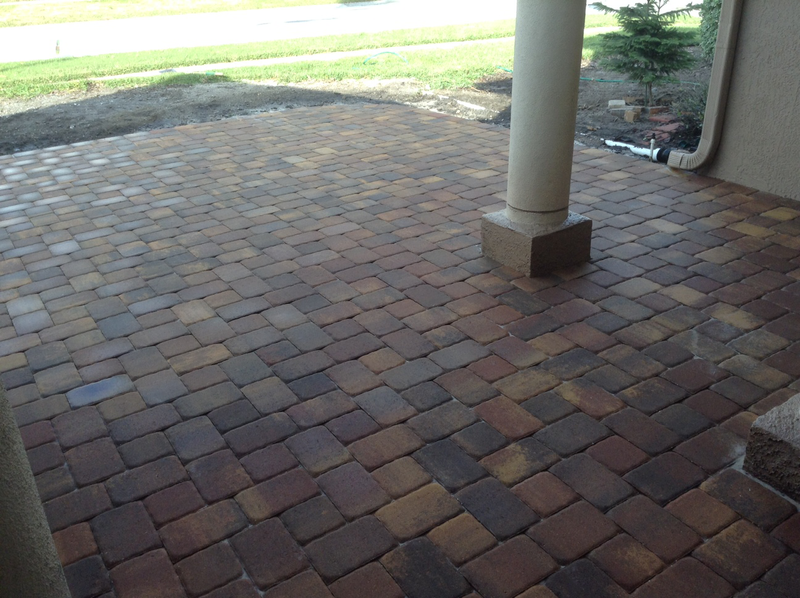 The ornate beauty of our brick pavers adds value and visual appeal to any property! 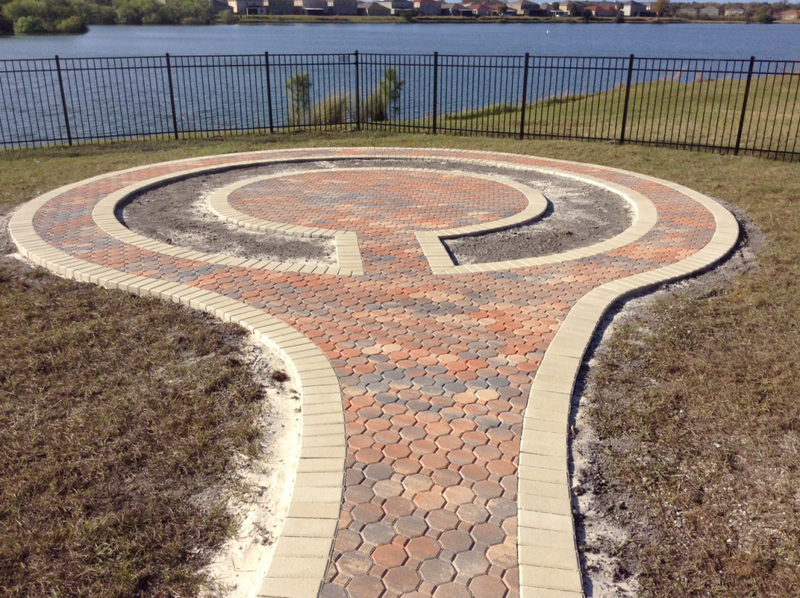 The pattern possibilities that we provide are virtual unlimited. 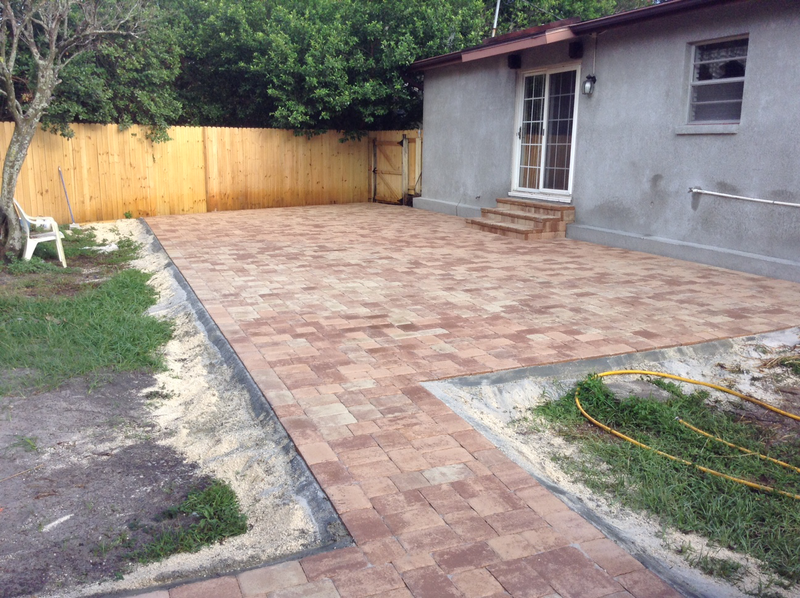 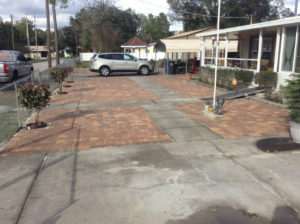 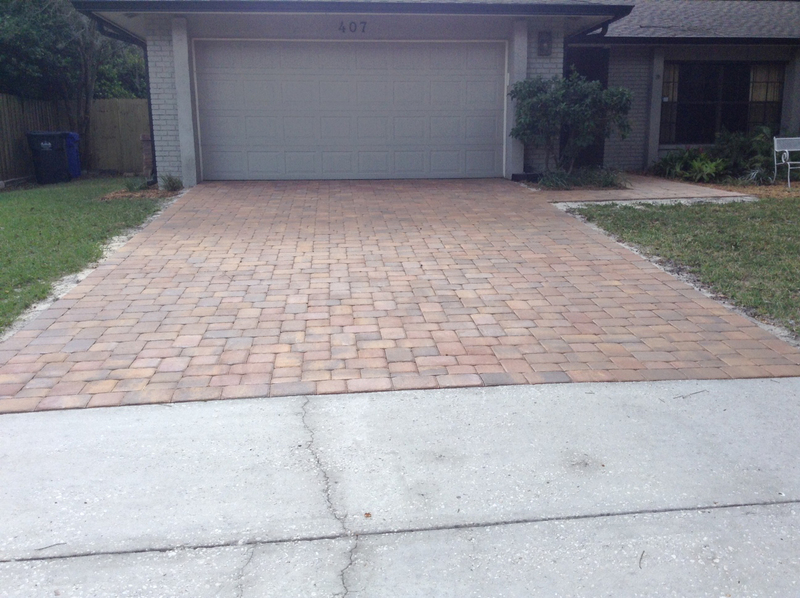 Pavers can be removed and replaced with ease. 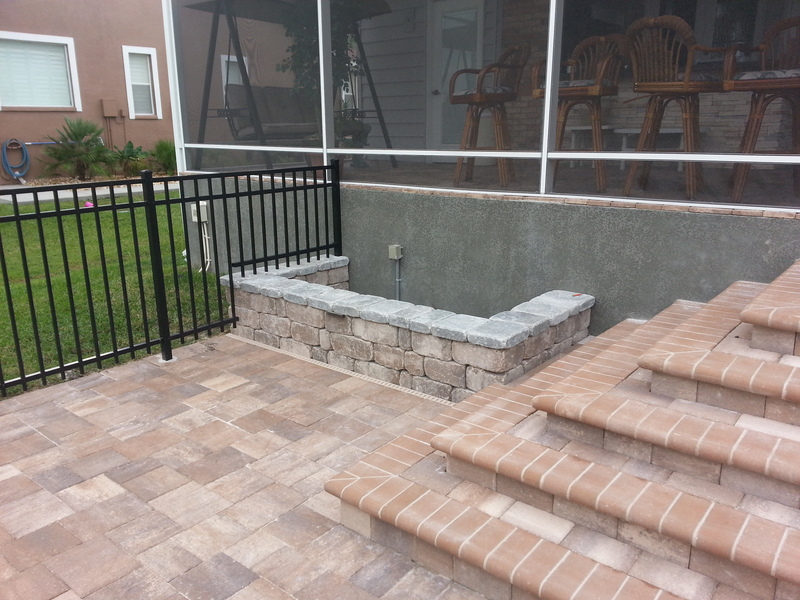 This allows access to existing utilities or the placement of new ones. 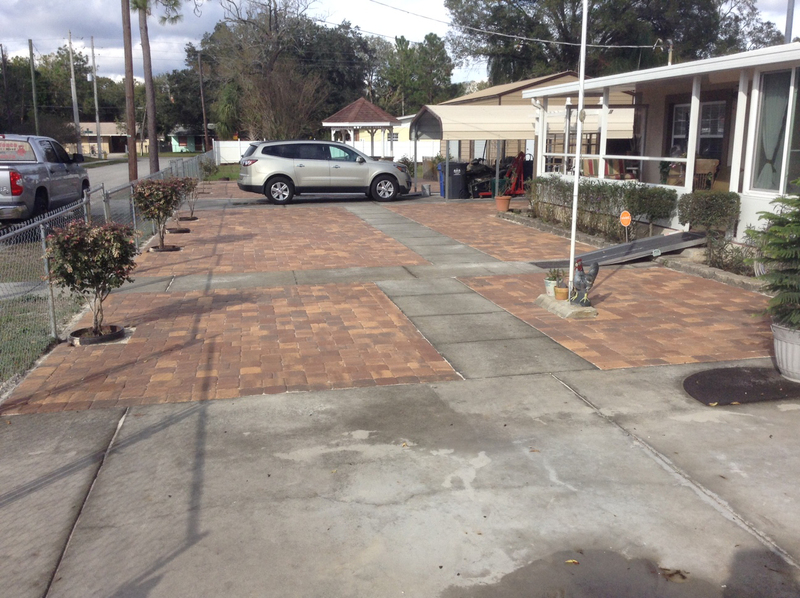 Certain color combinations can provide our customers the ability to designate or highlight safety areas such as pedestrian crossings, school zones and hazards. 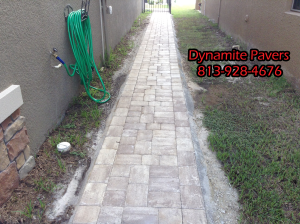 Furthermore, the use of light colors, together with a strong surface texture improves the overall safety of your walkway at night. Not to mention the fact that pavers have a non-skid surface even when wet. 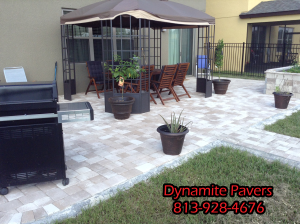 Pavers are a segmental paving system which allows for expansion and contraction without producing surface cracks, unlike that of the monolithic concrete surfaces and stamped concrete. 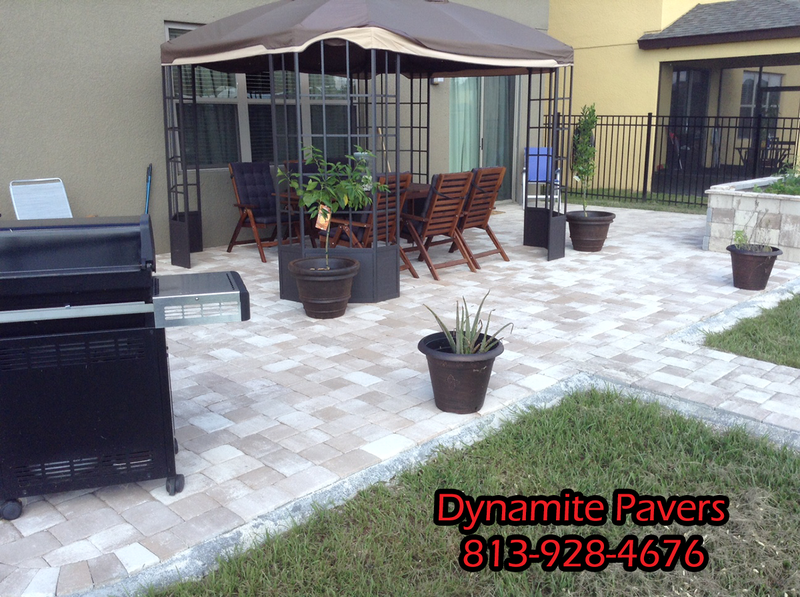 There are three basic types of paver materials manufactured, natural stone, brick and concrete. 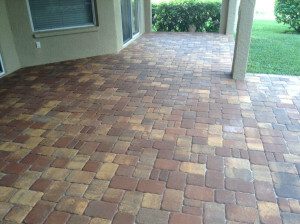 Within these simple materials there are hundreds upon hundreds of different styles and colors. Since concrete pavers are actually a manufactured product, colors (we have many books for you to look through to help decide) are introduced during the manufacturing process to produce a wide range of strong, bright colors that resist sun and fading. 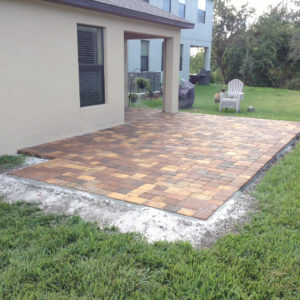 Manufactured pavers are interlocking, which makes them particularly easy to install. 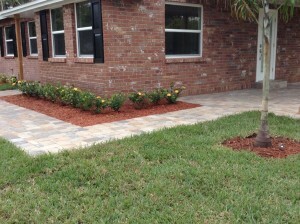 Lay them side by side to create neat borders that separate your lawn and garden or stack them in a low wall to make a raised bed. You can use concrete pavers, as well as natural stone or clay bricks, to create beautiful, intricate designs on walkways and patios. 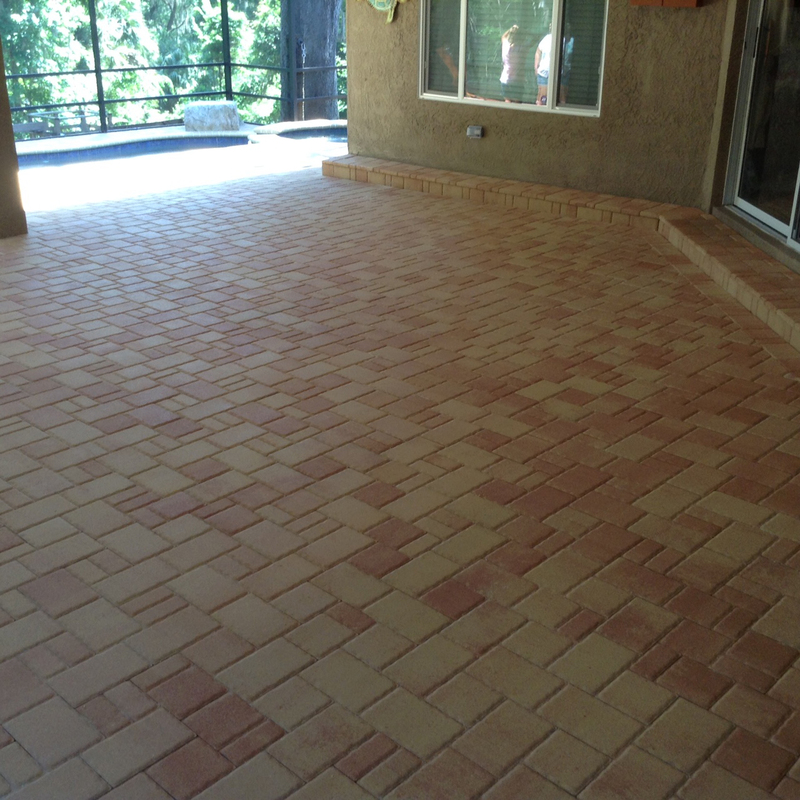 Brick pavers are made of clay, which is very strong and resistant to stains. 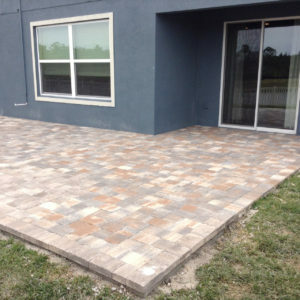 Brick also offers timeless design appeal and presents a quiet, stately elegance when used on pathways, patios and more. 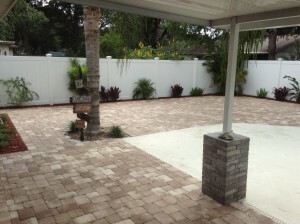 Concrete pavers are made of molded concrete mixed with aggregate. 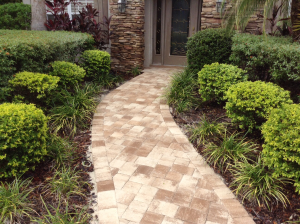 Natural stone will often be used for pathways, walkways, edging or on patios. 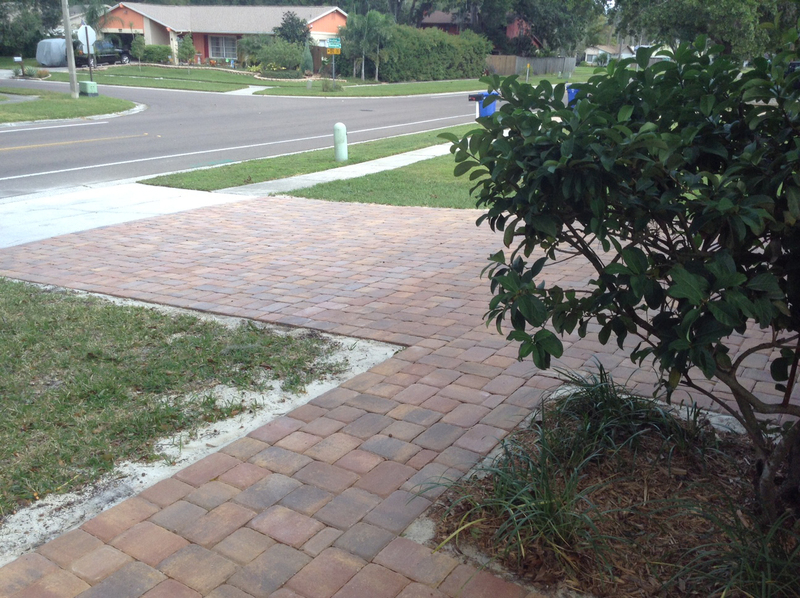 Brick is extremely versatile and durable and can be used on pathways, driveways and as edging or patio material. 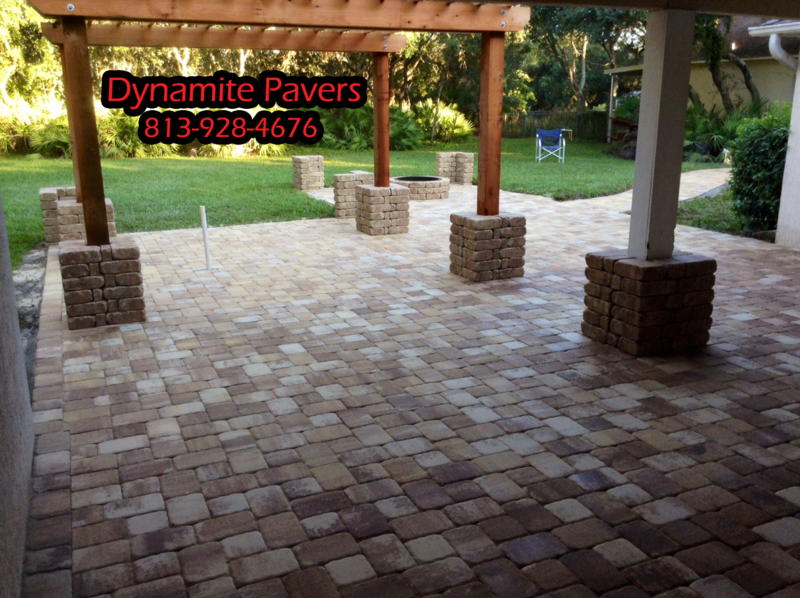 Natural stone pavers, such as flagstone or fieldstone, are very attractive and are the most expensive type. Precast concrete pavers are a uniform size and are specifically designed for outdoor use, although you should check with the manufacturer about durability for use in driveways or other high traffic areas. If you are planning to use pavers for a pathway, make sure to plan to allow at least 3′ of width. 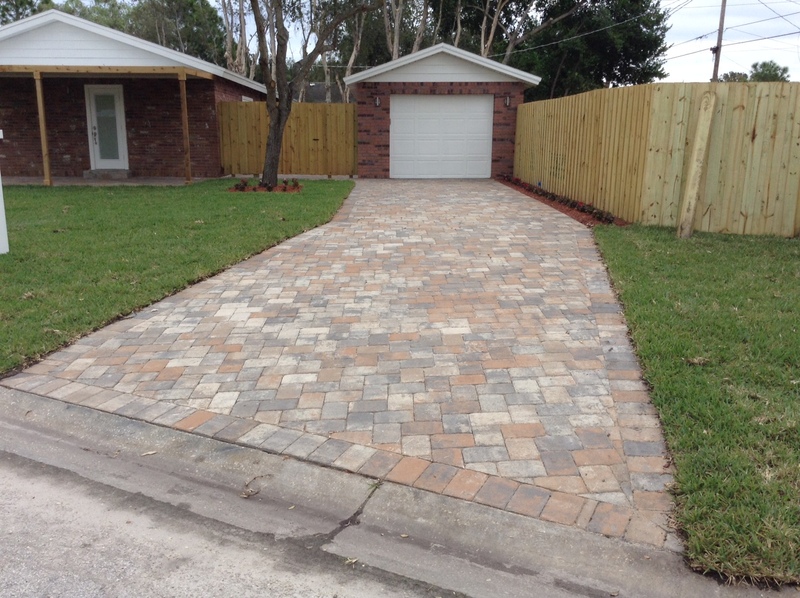 If you are building a driveway, measure your vehicles and allow enough space with the doors open for people to exit and move comfortably around the car. 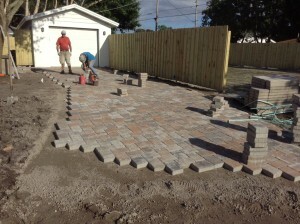 When someone thinks of an interlocking paving stone one often gets the idea of dog bone shape stones that fit together like a jigsaw puzzle. 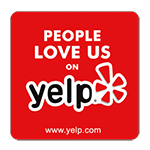 That is not the case at all. 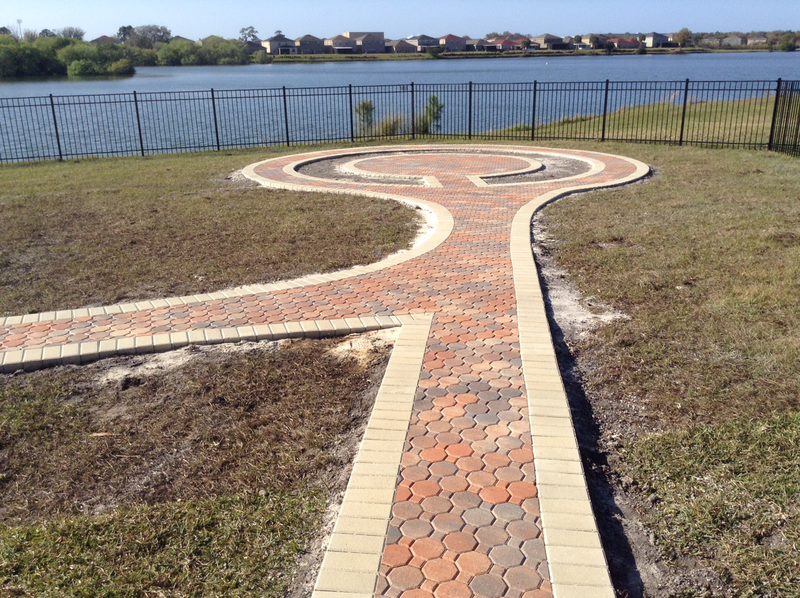 The interlocking comes from the fact that each stone can not move independently from its neighbor. In fact there are two important aspects of an interlocking paving stone job that keeps the pavers interlocked. 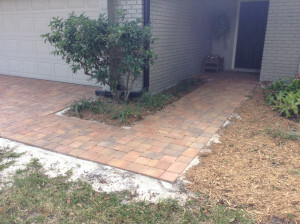 The first aspect of holding together the interlocking pavers is the sand. 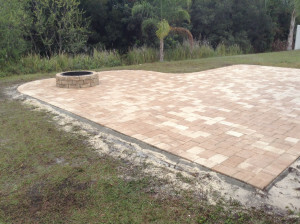 As simple as this might seem the sand creates the interlock. 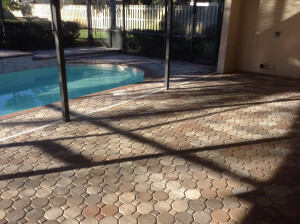 Not any sand though, it must be a sharp angular sand (known as Joint Sand and Polymeric Sand) that will lock together. 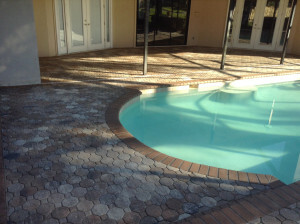 If the joints are filled between the pavers with silica sand, each particle is perfectly round, it’s like putting ball bearing between the pavers and they will then be able to move independent of the stone next to them. 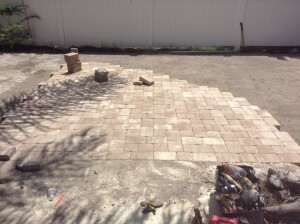 Pavers are made with a small ridge on the side of each one so there is space for the sand. The second important aspect is the edge restraints (better known as the border that is holding the pavers together). 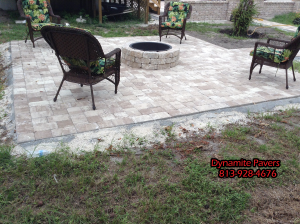 Since they are sitting in sand not mortar if the edge is not held firmly in place they could start to spread apart. 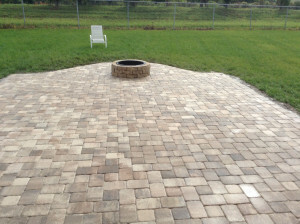 This would create larger and larger opening between the pavers that would eventually be so wide that there would no longer be friction between the stones. We have completed countless jobs in our 25+ years of operating on the Gulf Coast of Florida. 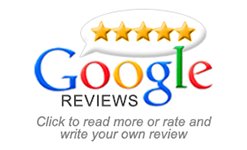 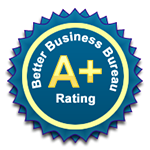 We encourage you to read our reviews as well as our competitors reviews and see the differences and why we are continually we receiving 5/5 star reviews for our work. 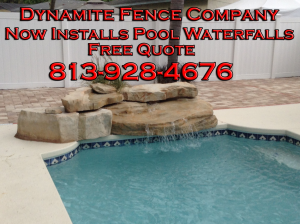 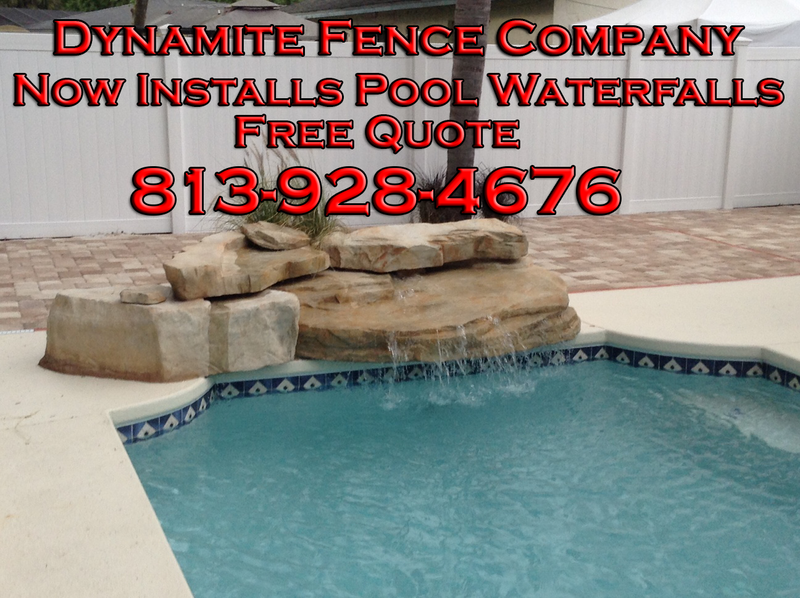 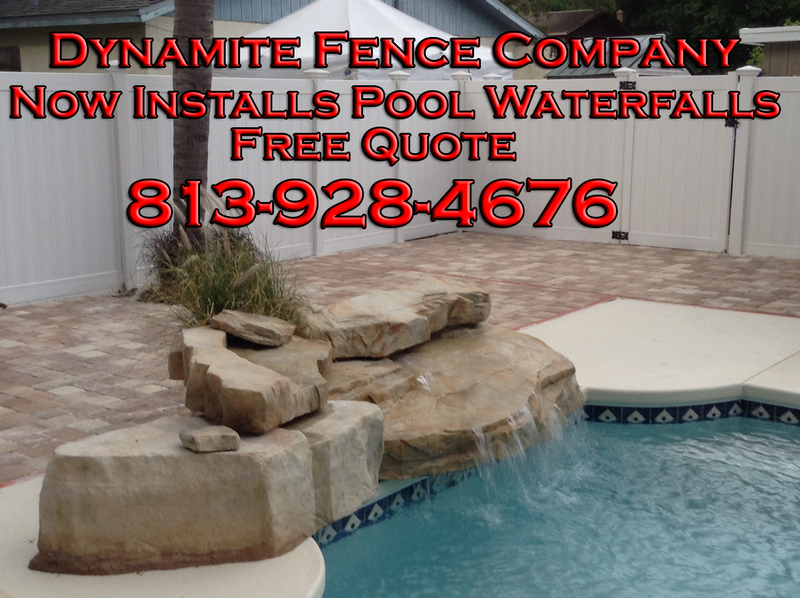 At Dynamite Fence Company, we have been providing full design and brick installation services for commercial and residential customers for 25+ years. Our products include: brick pavers, brick patios, pool deck pavers, retaining walls, boulder walls, driveways, outdoor living spaces (such as outdoor kitchens) and cultured stone applications.